Once you enter the category of a senior citizen, you are put out to pasture: inconsequential and dispensable. 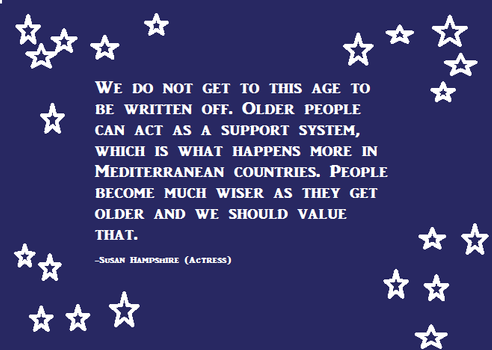 There was a time when ageism was not even a word, but today we have to address this issue very often. In India, we have not managed to deal with the problem head on, even though the United Nations leads an ongoing campaign themed ‘Take a Stand against Ageism’ to curtail the discrimination of people based on their advanced age. The attitude usually trends towards the idea that age makes people ineffectual and that younger people are more ‘with it’. But is it a dead end for people who have retired and are now senior citizens? We fail to realise that there are numerous older people who, with their immense experience and expertise depending on the professional careers they have had, can contribute in jump-starting monumental positive changes in society. The problem lies in the fact that many older persons do not realise they can play a significant role in civic decision making in India and in Goa in particular. Involvement in achieving the United Nations set Sustainable Development Goals for 2030, which have been ratified by India, may well prove the importance of senior citizens in helping the information and related actions percolate among the general public. The 17 Sustainable Development Goals, which include Zero Hunger, Good Health and Well-being, Quality Education, Clean Water and Sanitation, Gender Equality, etc, will provide much scope for the knowledge and skills gleaned by older people over the years to be put to use. The SVEEP (Systematic Voters’ Education and Electoral Participation) programme is an excellent means to draw senior citizens into the fabric of democratic functions in a way that will benefit both society and the senior citizens. Unfortunately, the focus of SVEEP, which sees the participation of a majority of young people, is driven to target voters in the lower age bracket. The cultural bias against senior citizens has been excluding more and more people from the democratic system. Purportedly meant to disseminate information, the SVEEP programme has not reached out to the older generation, most of whom have no idea that once they are registered as voters they become members of the Gram Sabha. What we need to look at is ways of helping older people get their foot in the door of democratic workings before they actually hit the bracket of senior citizens at 60. They are best advised that this participation is within their domain of activities because they have enough time on their hands and their minds are less occupied with jobs so they are more able to analyse various socio-political and civic problems. Most individuals who have been teachers, bank employees, employed in private firms, etc, have a limited vision of what they can do to advance society, despite their capabilities in their line of work. Another gap that needs to be bridged is the gender divide which finds its way among the senior citizenry as well, where men are the dominant force. The day care centres called ‘Ummid’, sponsored by the Directorate of Social Welfare to provide amenities, refreshments, and recreational facilities to elderly persons, could serve as platforms for senior citizens to meet and discuss ideas. With about 35 centres available at present, if they are set up in every panchayat and municipality, the number would go up to at least 200. The Directorate of Social Welfare is to conduct a host of workshops to sensitise senior citizens about the Maintenance and Welfare of Parents and Senior Citizens Act, 2007. 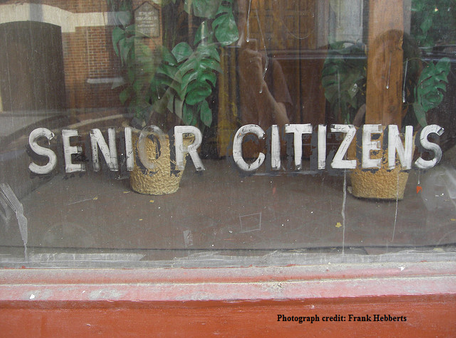 This could be a meeting ground for older people to discuss their role in democratic structures. Other agencies could also be approached to provide avenues for deliberation by senior citizens. People are unaware of special Gram Sabhas pertaining to specified topics that take place on the 15th of August, 2nd of October, 19th of December and 26th of January. The regular Gram Sabhas meetings take place on any one Sunday of the month. All proposals need to be submitted four days ahead of the meeting. Senior citizen volunteers at the Consumer Forum sharing their experiences in democratic structures can stand as examples to other older people. Senior citizen Dr Marie D’Souza, who has had an impressive career as a medical practitioner, talks about being involved in the Aldona (in Goa) Gram Sabha. ‘I have found the Gram Sabha is a good place to voice opinions on various issues that concern Aldona and are a concern in every village of Goa, for example, child labour. People have no idea that they can push issues through the Gram Sabha. People don’t know how to present their issues at the Gram Sabha; you have to put your proposal in writing days before the meeting. When you want to do something for the good of the people, it has to come through the Gram Sabha. Very few people know this,’ she says. Marie’s contention is that there are more retired people who can offer their services in account keeping and procedural matters to the panchayat to facilitate its functioning. These are people with vast experience and abilities which can prove beneficial to the panchayat and the people it governs. Inevitably, there are bound to be roadblocks, and muscle power and political games of delaying social justice often need to be dealt with. For this reason, senior citizens need to build a support system to help with the technical details of financial matters, judiciary, governance protocol, rights of citizens, etc, and practical matters such as typing, photocopying, filing, etc. Perseverance is of utmost necessity in combating stalling tactics by corrupt entities. Besides, social activism taken up by senior citizens stands as a good example for the younger generation to stand up for justice and honesty. Another enormous boon that senior citizens can use to their advantage is the internet, through social media and emails, not only to create a network of likeminded citizens but also to spread information to all quarters of society. Gaining media attention by writing in to newspapers is yet one other way of stimulating change. Senior citizens may be in their 60s and above, but this does not mean that their capacity to contribute to society is diminished. Former bankers, teachers, doctors, lawyers, and others can all give back to society in a huge way. Thus they can keep their own minds active in the process and imbibe a sense of pride in themselves because of their continuing service to their fellow man.